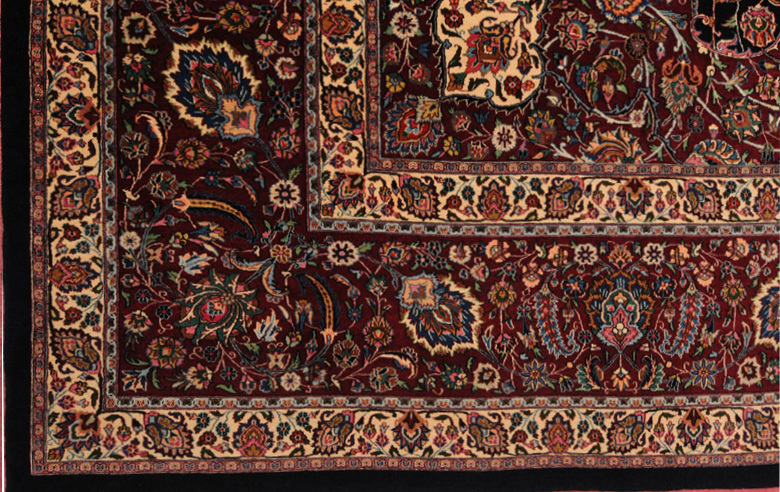 From its deep, dark colors to its delicate floral design and the luxurious feel of the pile, this is a quintessential Mashad rug. 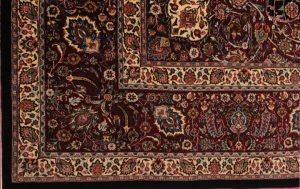 The single, large center medallion surrounded by a busy background made up of floral motifs all over, the multiple borders and the plush wool pile woven on a silk foundation are all distinctive features of rugs manufactured in Mashad. 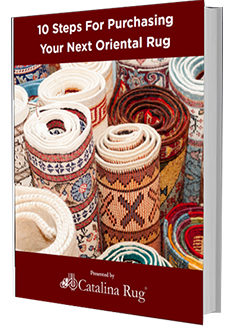 In a region known to produce very high quality rugs, this particular piece stands out for several different reasons. The first is that it features the renowned Shash-Kalani signature. Determined to uphold the high quality of the rugs, Shash-Kalani set up his own rug manufacturing workshop where strict quality control was maintained throughout the process, from the procurement of the raw material to the finished product. 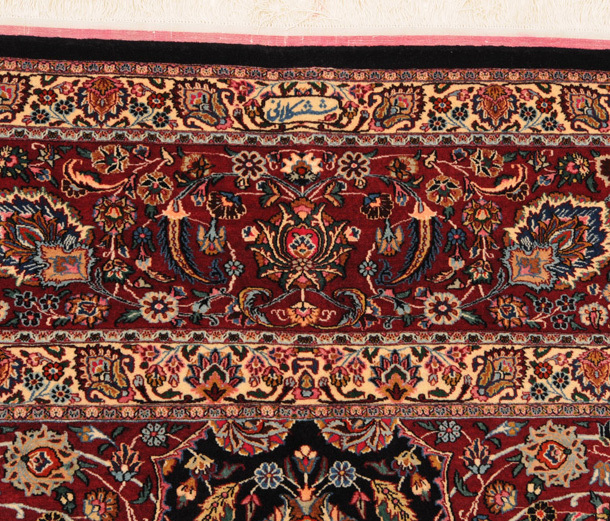 All rugs that were manufactured here bore the distinctive signature as a testament to the superiority of the piece. 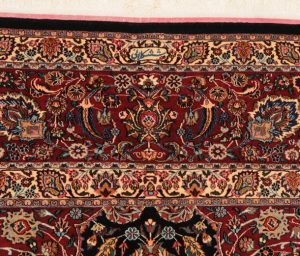 These rugs were much sought-after by collectors all over the world because they recognized the investment value of these pieces. 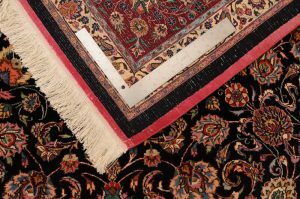 Today these rugs are rare and very hard to find. 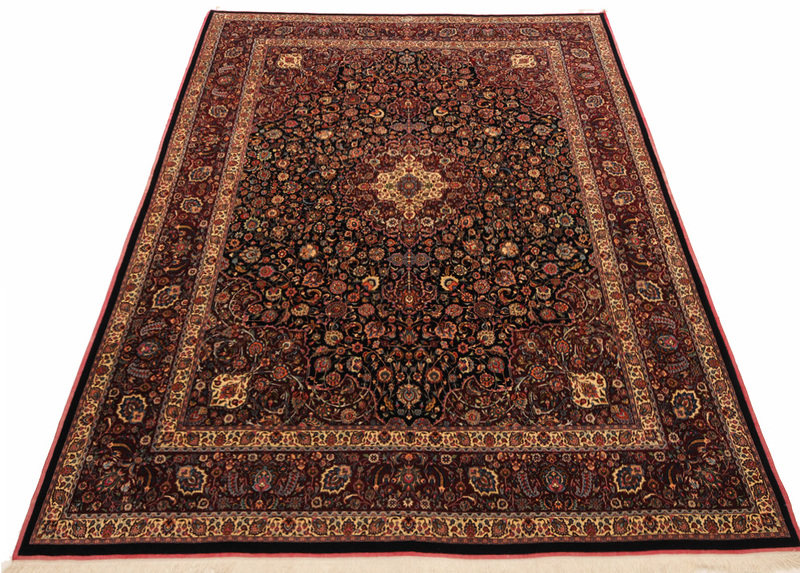 Measuring 9’9″ x 12’2″, this Shash-Kalani rug has a very high knot count of 625 psi and the pile has been cut close to the foundation so the pattern lines are very well clear. 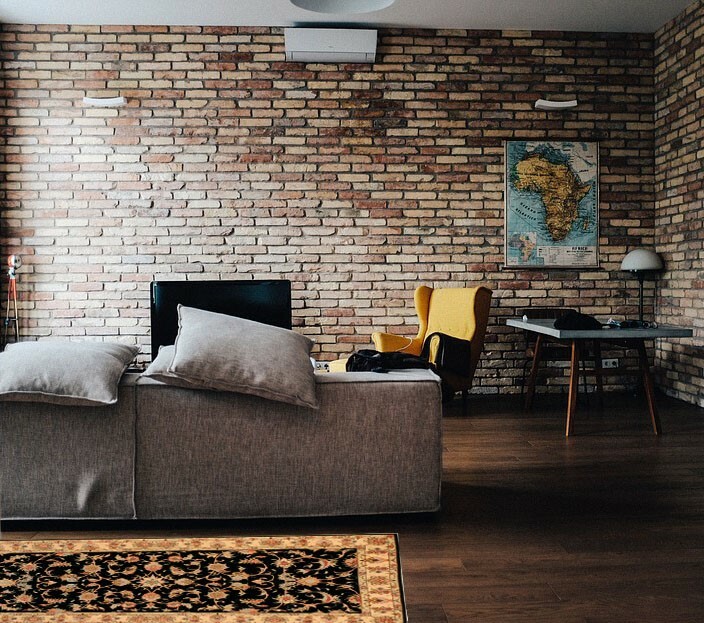 The knotting time was recorded at 2779 Days 25011 Hours. 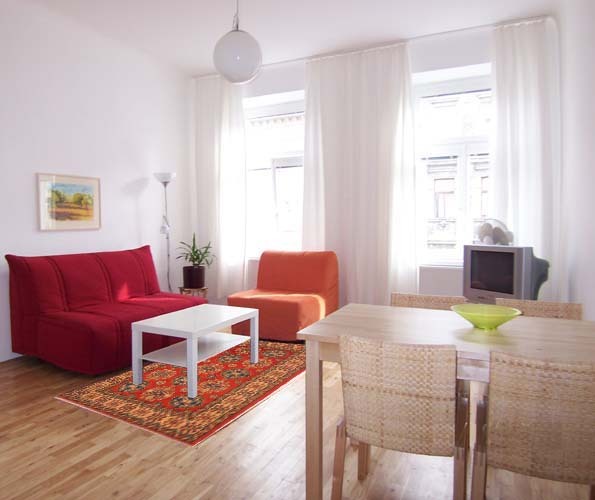 If you are looking for a really rare and valuable piece, this fits the bill perfectly! 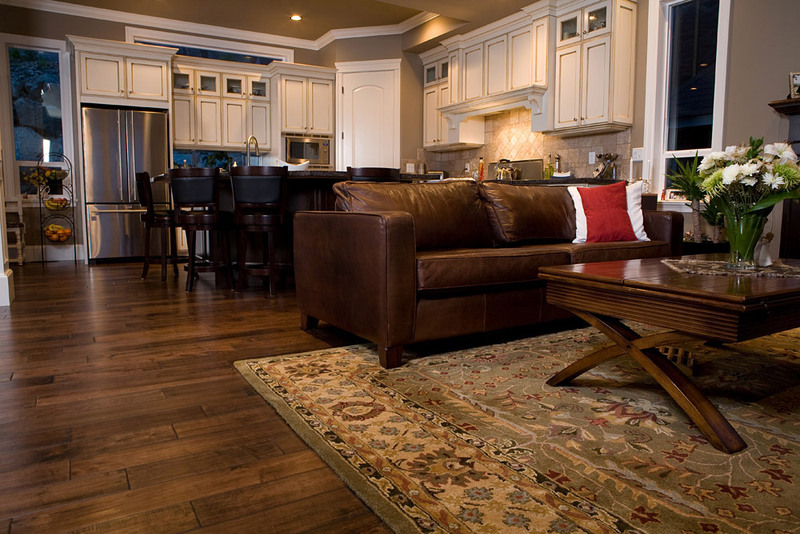 Not only is a signature rug like this an fantastic conversion piece but it is also an excellent investment.